Hot, sleek and incredibly fashionable and fun, this Adjustable Set is a must have for the modern home. 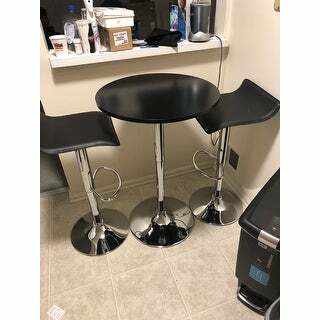 This bar set looks just as pictured. Fits great in a smaller space and works well for our bar. 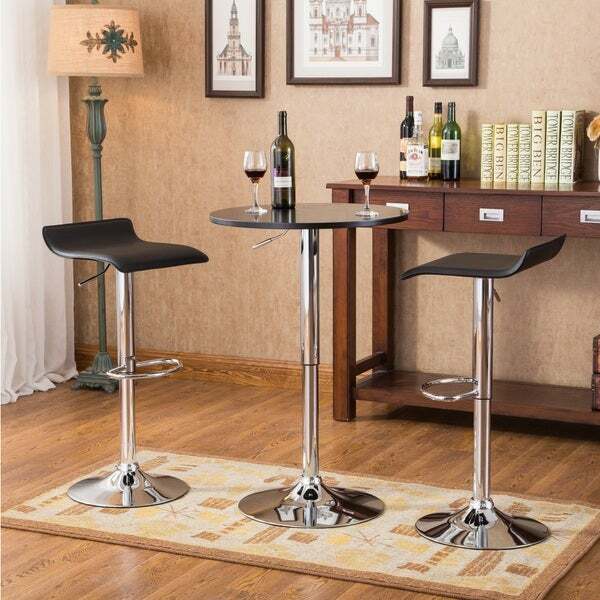 The table does swivel and chairs do not get super tall, but they work well with the table. Just purchased a few weeks ago and recently moved into my new place. The table was so easy to put it together that I did it myself. We’ve enjoyed it so far.